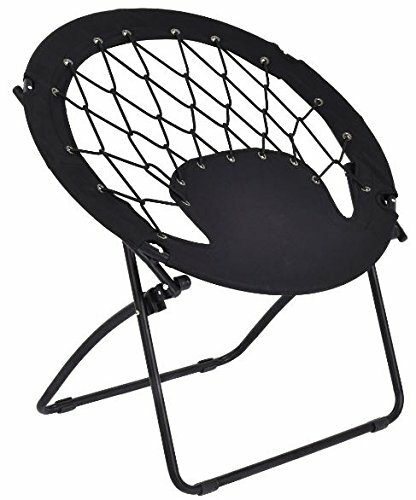 This folding round bungee chair with a high strength steel frame is perfect for camping and hiking. Made of oxford cloth and featuring a high strength steel frame, this folding chair is durable and can retain its value over the long term. The netted bungee cords offer comfortable seating. The round camouflage bungee chair is small, lightweight and foldable, which is easy to carry and storage. It can be a best choice if you want to enjoy your leisure time outdoors. This round bungee chair is also prefect for a teen room with its unique design!